There are some brands who know the importance of the details. Who know that the little things count. These brands know that it’s not always a numbers game but it’s about quality and attention to detail. There’s big and small brands alike who truly understand the difference between average – and going the extra mile. 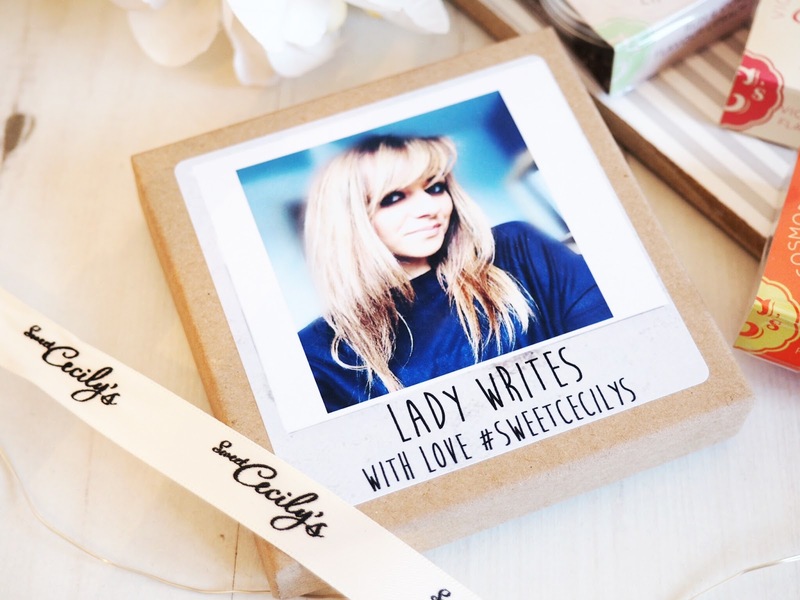 And one of my favourite brands for this is Sweet Cecily’s. A British skincare brand who’s eye for detail means their products are truly divine – both in scent and usage. 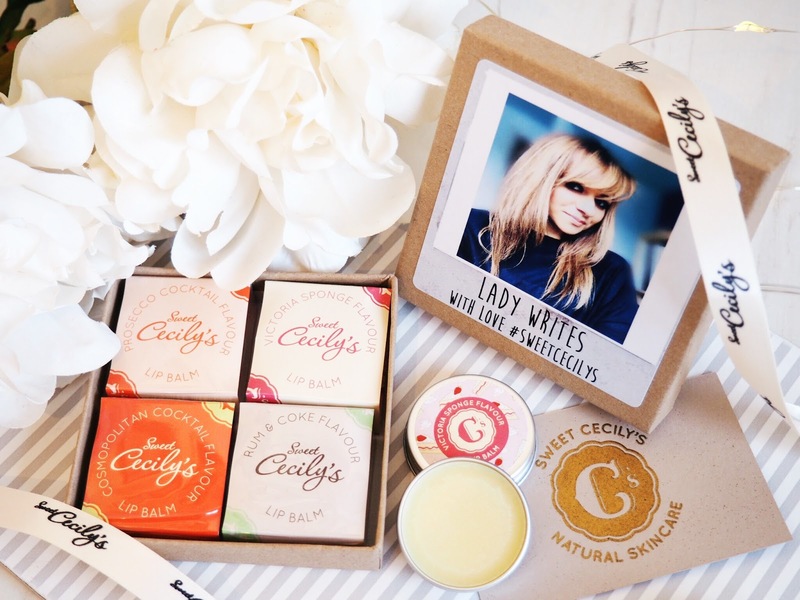 If you’ve never heard of them before, Sweet Cecily’s are a handmade, natural skincare brand with a product range designed specifically to meet the needs of the skin-focused amongst us. I first heard about them when a friend gave me one of their lip balms at Christmas, and since then I’ve admired the other products in their extensive range. Working in an office I quite frequently get dry lips, thanks to the air conditioning, plus I’m getting older and this craze for liquid lipsticks means that my lips are in need of more TLC than they used to be! 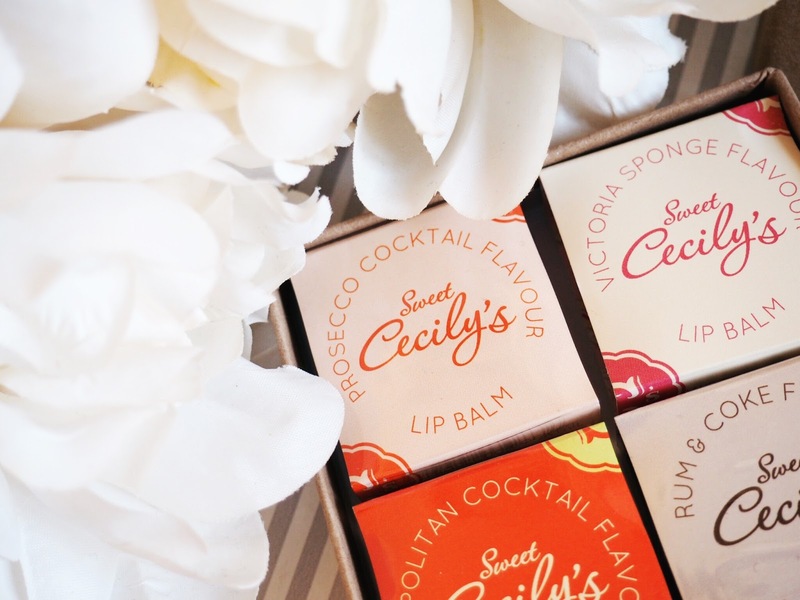 Sweet Cecily’s Lip Balms have been an absolute lifesaver when it comes to keeping them feeling nourished, moisturised and in prime pouting position! I’ve used various lip balms and intensive creams in the last year and I can say with ease that the ones from Sweet Cecily’s are easily my current favourites. But really is that any wonder when you look at their flavours?! The lovely folks over at SC’s sent me the most beautiful and personalised little gift box with four of their new flavours in: Victoria Sponge, Prosecco Cocktail, Cosmopolitan Cocktail and Rum & Coke. As a devoted cocktail lover, the new flavours are fully appreciated in both scent and taste! Although no actual alcohol is used, they still do an amazing job of giving me a little smell and taste of cocktail hour, no matter where I am. They also have a range of other flavours and next on my wish list would be Gin & Tonic (because that’s my all time favourite tipple) and Mojito, although the Prosecco & Peach flavours is also on my list to try out too. But if you’re more of a sweet tooth than cocktails lover, then there’s the Red Velvet or Strawberries & Cream flavours to try – I need to get these in my life pronto, even the thought of their deliciously sweet scent means I’m practically drooling! I can tell you first hand that the Victoria Sponge flavoured variety they sent to me has the softest, sweet and most delicate scent and it taste pretty good too! It’s so delicious that it’s worth reapplying frequently just for that lovely aroma. Plus the fact that it bathes your lips in moisture and adds the nourishment they need to bring tired smackers back to full health, well it’s win/win really. With a huge range of natural skin care products, not just the lip balms, there’s something for everyone at Sweet Cecily’s. Make sure you check out their Toners, Body Butters and Face Masks too – the Almond & Avocado Face Cream sounds divine as well. Considering each balm is only priced at £3.25, there is no reason that your handbag should be without a Sweet Cecily Lip Balm. Do your lips a favour and indulge your senses at the same time with delicious flavoured lip balms – all for the price of a cup of coffee. Which do you think you’d like to try first?